More puppy photos added to the Gargoyles page. More videos to follow. More videos have been added to the video section of the Gargoyles page. Puppies of 2018 page is now open. Videos to follow shortly. Puppies have gotten the all clear from the vet on their first vet health check. Puppies of 2018 page under construction. Our third litter of puppies were born on 8/8-8/9/18. We had 4 boys and 2 girls. It is still with a heavy heart that we announce one of the boys was stillborn and despite our best efforts could not be revived. Beware of unethical breeders! Due to the popularity of Northern Inuits, there are backyard breeders selling Northern Inuit lookalikes. Ensure that you are adopting from a registered breeder to avoid supporting unethical breeders who do not health test their dogs. 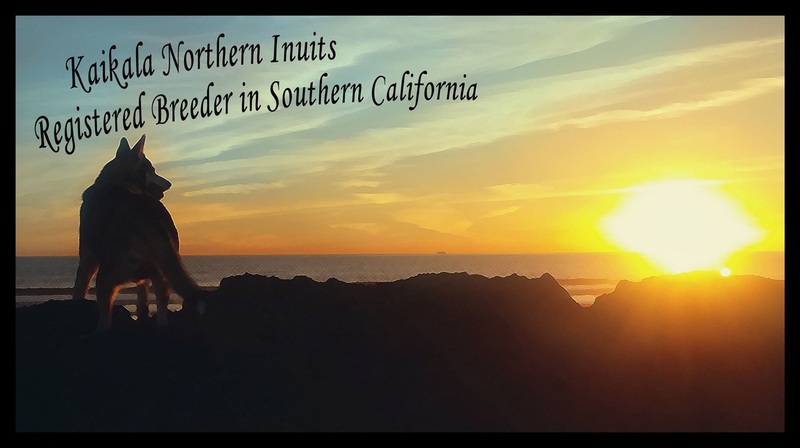 Please check the Northern Inuit Society of America for the list of all the registered breeders in the US. New photos added of the Ohana Litter. More puppy photo's added of the Ohana litter. Puppies get the all clear from their first vet health check. Our Second litter of puppies were born, 4 boys and 3 girls. We are happy to announce that Madigan is pregnant and will be having her litter around 03/18/2017.